How Do We Get from Black Falcon Cruise Terminal To Faneuil Hall Marketplace? We're arriving for a Port of Call visit in Boston. . . What's the best way to get from the Cruise Terminal to Faneuil Hall Marketplace? Is there a shuttle or should we take a taxi? How much are the fares? How long will it take to get there? Sorry to bombard you with so many questions...but we're arriving next week and suddenly realized we hadn't planned our day in Boston. Thanks for all your help! 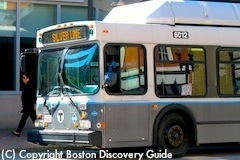 We love Boston Discovery Guide!!! P.S. What else should we see near Faneuil Hall? 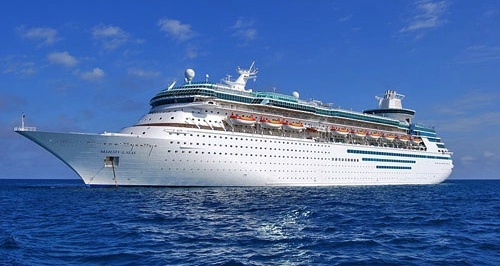 The good news is that you have the choice of several easy, interesting ways to get from Boston's CruisePort to Faneuil Hall Marketplace, ranging from walking to taking a hop-on hop-off sightseeing trolley and everything in between. The actual distance between the two destinations is less than two miles through some of the most interesting parts of the city. In addition to the sightseeing trolley and walking, you may want to consider a water taxi, a land taxi, or the local subway. Depending on which option you choose, you can either get to Faneuil Marketplace very fast or enjoy a more leisurely approach and explore some of Boston's famous sights along the way. Here are the best options, plus a map showing the walking route so that you can see which works best for you. 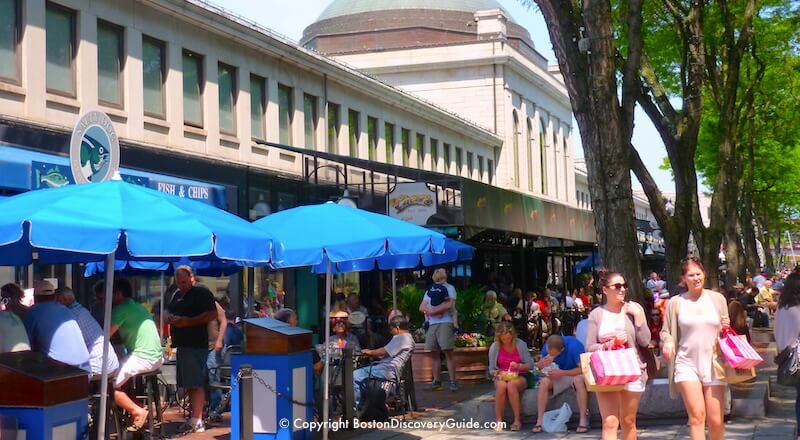 I've added a few suggestions about other fun things to do near Faneuil Marketplace at the end. 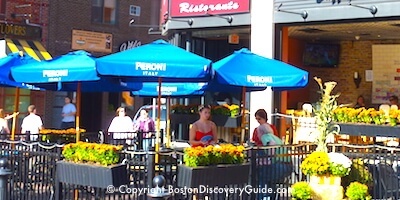 Have a wonderful time in Boston - and thanks for your nice compliments about Boston Discovery Guide! 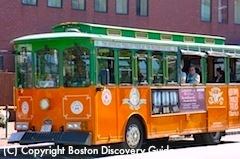 The colorful hop-on hop-off trolley picks you up close to the Cruise Terminal in Seaport. Get off at the Faneuil Hall Marketplace/New England Aquarium stop, and then get back on later if you want to complete the 2-hour tour of Boston's top sights. If you're visiting Boston for the first time, these trolleys give you a winning combination of convenience, a terrific overview of Boston narrated by the knowgeable drivers, and the freedom to get off and explore the attractions that interest you the most. The fastest way to go from the Black Falcon Cruise Terminal to Faneuil Hall Marketplace is by water taxi. You'll board the boat at the Terminal, and total transit time will be 10 minutes or less. 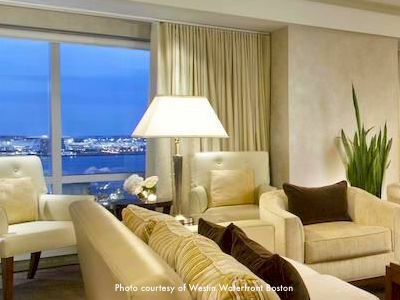 Keep your camera handy, as you'll get excellent views of the Boston skyline and fascinating glimpses of the waterfront. You'll get off the water taxi at the New England Aquarium, and then walk over to Faneuil Marketplace, about 2 minutes away. The "T" (Boston's subway) is the fastest way to get between two points in central Boston - as long as you don't have to change lines - and the affordable fare is a plus. However, from CruisePort, there is not a direct route so you will either need to change lines twice, or take the T part of the way and walk the rest of the way - about 10 minutes. To take the T, board the Silver Line (that's it in the photo, and yes, it's a bus in this area, not an actual subway although you will go underground) right outside of the Cruise Terminal and get off at South Station. If you decide to walk the rest of the way - which is what I recommend because it's only about 10 minutes and you'll see lots of interesting sights - exit from the station onto Atlantic Ave and go right (north). Atlantic Ave takes you along the Greenway up to Faneuil Marketplace on your left, just past State Street. If you want to continue on the T, take the Red Line Inbound to Downtown Crossing, transfer to the Orange Line and take it to State. Walk out of the station to Congress Street, and Faneuil Hall Marketplace is half a block away. 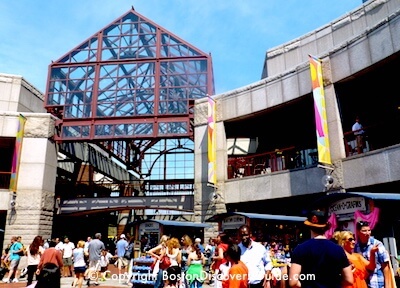 Another option is to walk to Faneuil Markeplace from CruisePort. The distance is about 1.75 miles, and there are plenty of interesting sights along the way. This map shows you the best route past the interesting South Boston Waterfront and up the Rose Kennedy Greenway to Faneuil Hall Marketplace. 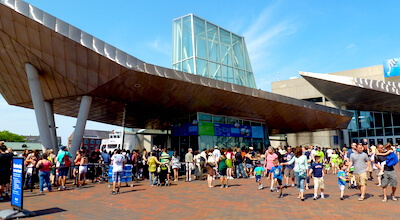 The New England Aquarium is on the waterfront, just across from Faneuil Hall. Land Taxi - Also a Choice from CruisePort? Of course you can take a regular land taxi from CruisePort to Faneuil Marketplace - and to anywhere else in Boston, Cambridge, or beyond. Depending on the time of day, getting there in a cab may take longer than the water taxi due to our street traffic. However, fares for the water taxis are per person while fares for land taxis are for the ride, so depending on how many other people are with you, a land taxi may save you money. Faneuil Hall Marketplace, made up of 4 historic buildings on Boston's Freedom Trail, offers a wonderful mix of places to shop, dine, and relax. Shopping opportunities range from boutiques featuring local products to national-brand chain stores (often offering some good sales) to the push-cart vendors. If you're hungry, head over to the Food Hall in the Quincy Market building, or choose one of the many restaurants and pubs that you'll find throughout the Marketplace. You can sit in the sun and relax - or stroll around and perhaps see some of the ever-popular street performers and other entertainers. You can easily spend an entire day in the New England Aquarium on Central Wharf, just a 2-minute walk across the Greenway from Faneuil Hall. But even if you have only an hour or two, you'll totally enjoy the seals, penguins, Amazon rainforest, Giant Ocean Tank, and colorful tropical species.